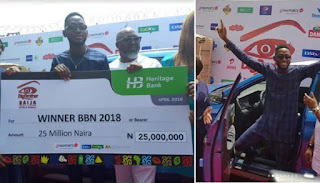 There's obviously more to the reality show, Big brother Naija that kept so many people glued to their television sets than the usual dancing and making merry while in the house. 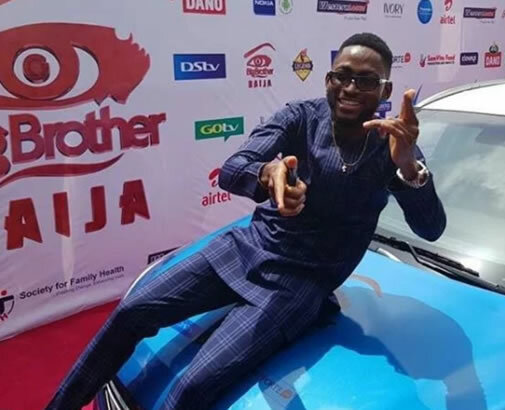 The winner, Miracle who is engulfed in a love triangle with Nina and her estranged boyfriend has stated that he will never have a fight just because of a lady in a recent interview. Miracle made this revelation in this new interview with Samuel Abulude and Rosalyn Ayam and he also talked about other things besides the controversial romance he is involved in. I feel very great, who wouldn’t feel great? 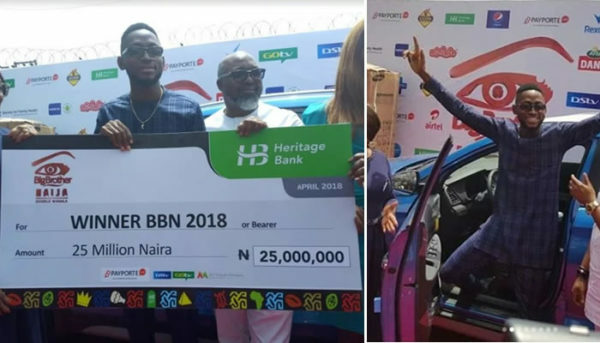 I won N45m; the cash prize being N25m cash and I have a car. So it’s actually a great privilege. I’m happy, I’m excited because this is a kick starting for my main goal towards becoming this billionaire people have always been talking about. So, I am really excited. To be honest with you, I didn’t see this coming because as you all know while in the house we had no idea of what was happening outside and that’s why whenever I was up for eviction, I was always tensed up because you never could tell what would happen next. The last day, I was given a pilot captain outfit and I was astonished and began to feel perhaps there was something for me. I already won N1m in the Payporte Game. So I felt okay, if you won Payporte, there was no how you were going to win this prize. And then with the outfit, I felt this was like a sorry outfit like if you didn’t win, at least you had the outfit. At the end of the day, it was remaining just I and Cee-C in the house and I knew in all evictions, Cee-C always comes up all the time and she keeps coming back. So it is only natural to feel she’s ‘strong oh’ and anything can happen, but then again, they called my name! I was surprised and if you noticed, I fell on the floor because I didn’t see that coming. At that point the only thing I had on my head was the N25m, I knew nothing about these other prizes. It was the next day, Nina told me I actually won a car and when I got back to Nigeria, they told me I also won a home theatre System. I’m still trying to come to terms with all these. Since I came back, I chose not to go into social media for the while because I’ve heard of the negativity and positivity so I don’t want to see things that will weigh me down. The first time I heard about Collins was in the house and Nina was truthful about her boyfriend. She told me that before she came into the house, she had a discussion with him and she made him understand that she’s going to Big Brother House and so he should expect anything. So now, we are out and people are saying a lot of things about that. I don’t really get jealous like that. It’s her decision. Something I would never do is fight for a lady. It’s her choice. You know my intentions towards Nina so it is her decision to make. The only time I will fight for a woman is if someone is imposing himself on the lady and she makes her choice that I am the one. But on a neutral ground, you know my decisions towards you. So, it’s your decision to make.